NSW Lift Trucks can now solve your total requirements. 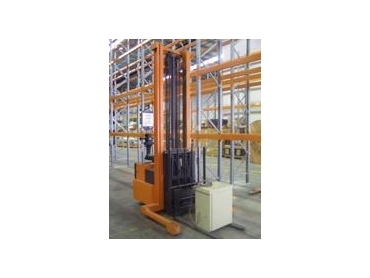 If you have an empty warehouse or a warehouse that has never utilised a forklift, NSW Lift Trucks can design the layout and supply both the pallet racking and the forklift. The problem with having a different supplier for the pallet racking and the forklift is if you order the racking first it may restrict the type of forklift you can use. If you order the forklift first it may be the wrong type of forklift to suit the racking. By dealing with NSW Lift Trucks you can now ensure that when everything comes together it will work. NSW Lift Trucks can organise finance for both the forklift and racking together to reduce the interest rate and coordinate the deliveries to reduce the inconvenience to your business. Whilst located in Sydney we do supply to country NSW and interstate.